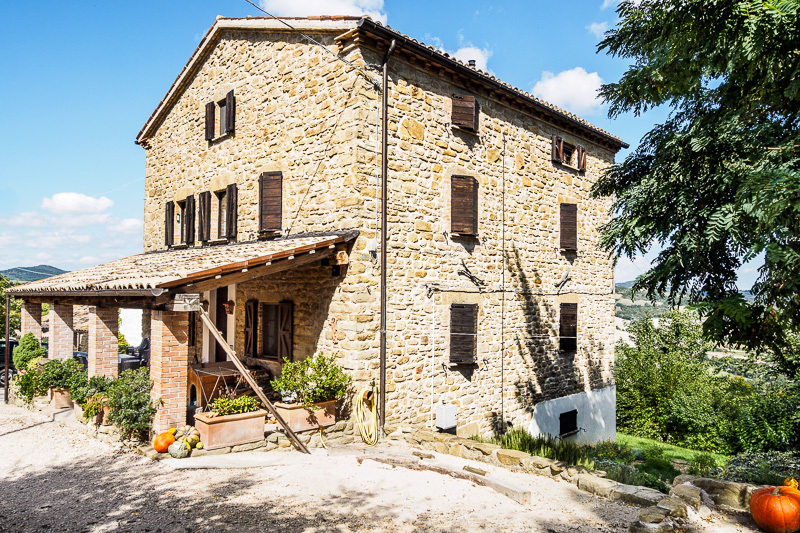 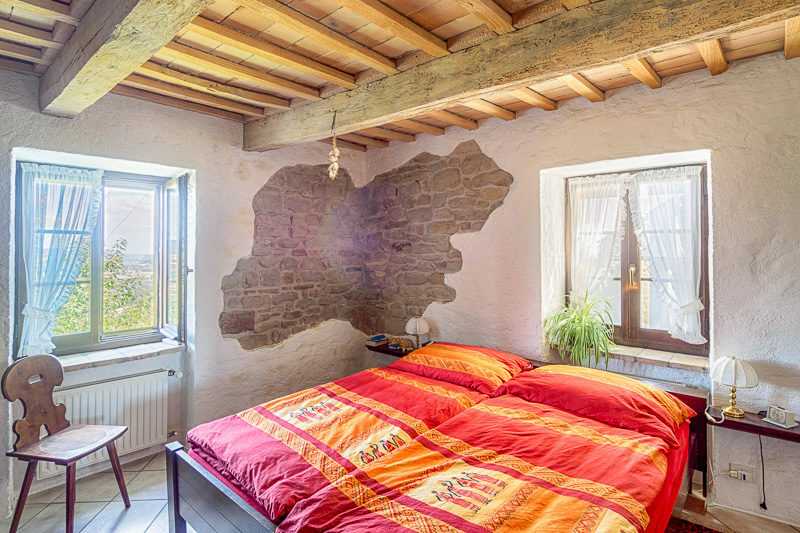 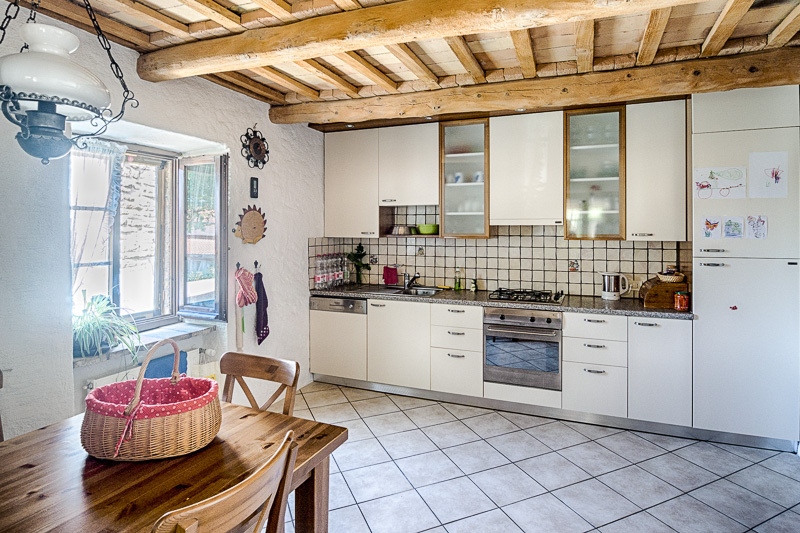 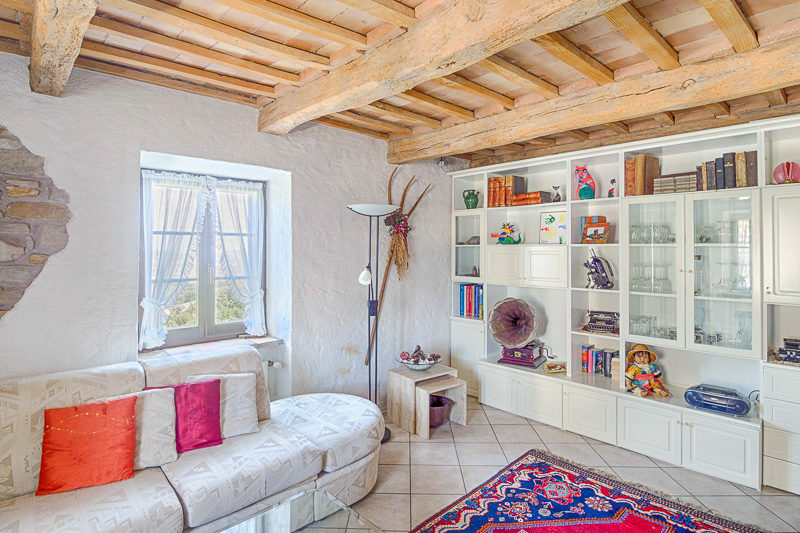 Large farmhouse converted to agriturismo for sale in Pergola, PU. 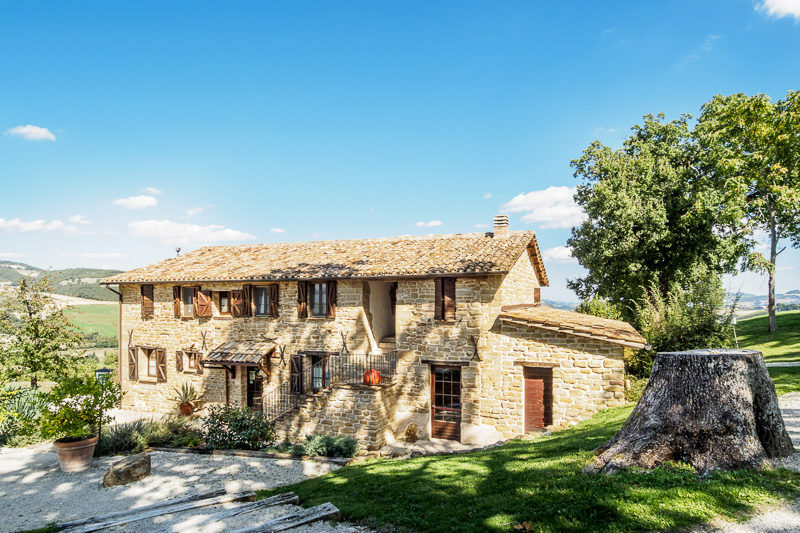 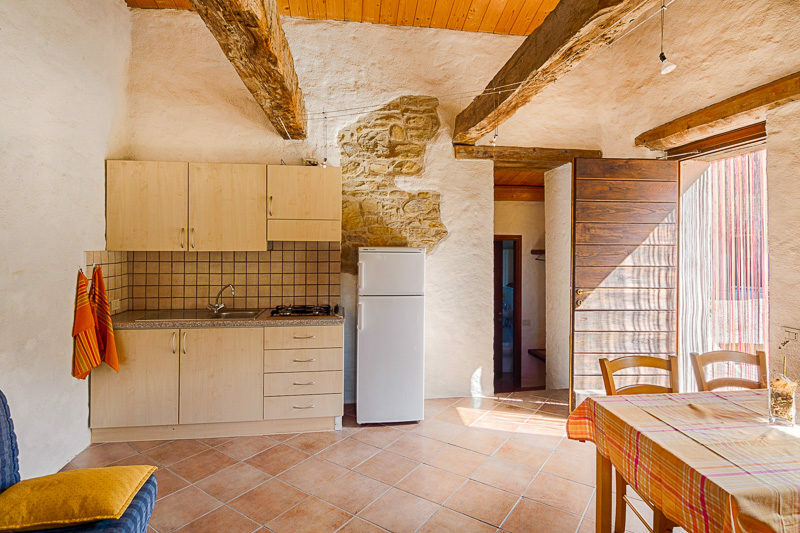 The property is made up of a series of traditional Marche farmhouses and buildings which form a small borgo surrounded by rolling countryside. 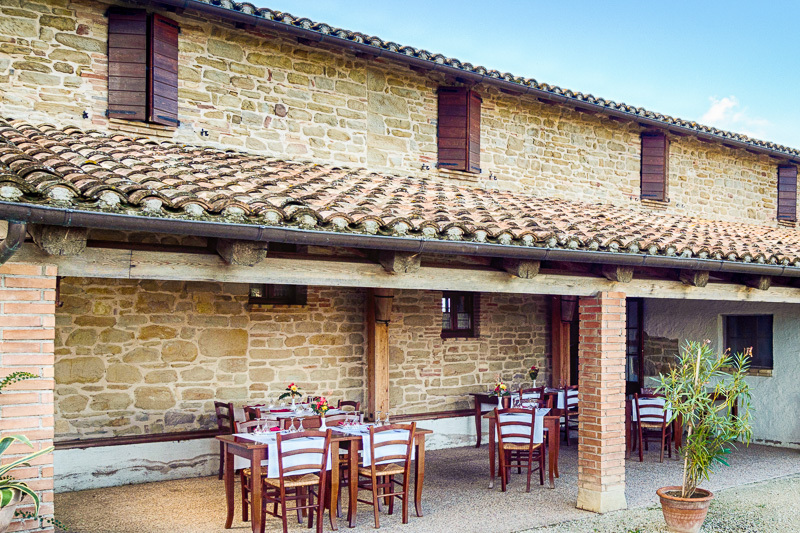 All the buildings have been rennovated and provide the very comfortable accommodation, the restaurant and the working farm buildings. 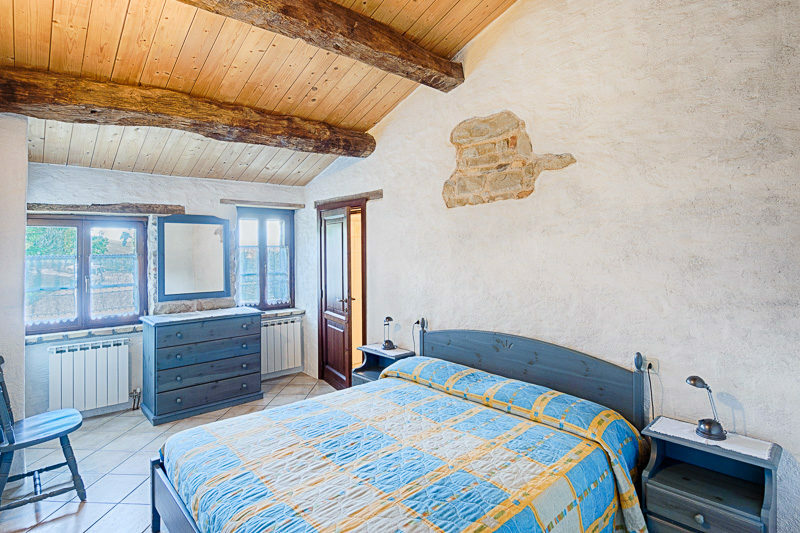 Apart from the accommodation that consists of 18 bedrooms in all, including 3 apartments that are for the exclusive use of the owners, there is a restaurant with about 50 covers inside (and many more outside), a professional kitchen, and plenty of space for the services and the laundry. 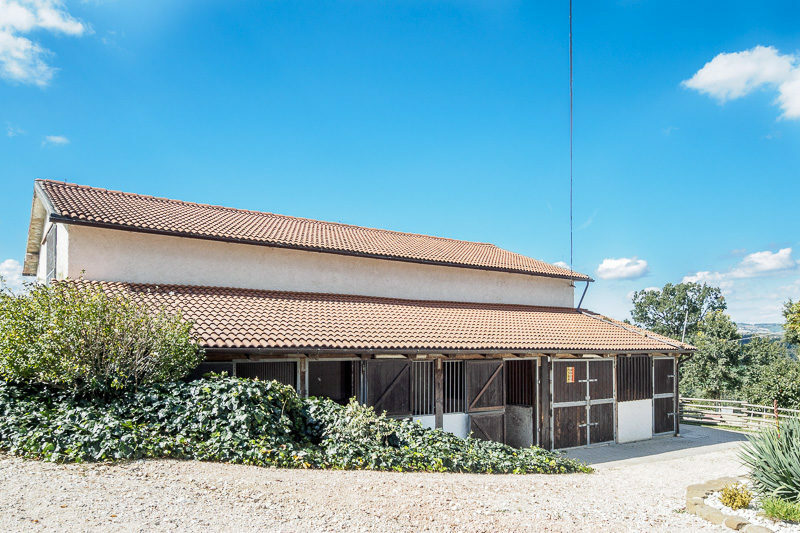 Slightly detached from the other buildings are the stables. 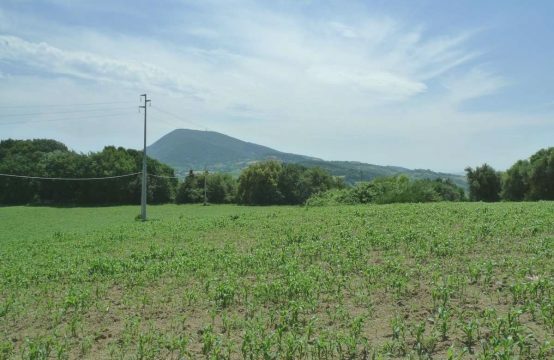 There are just over 13 Ha of very picturesque land that include arable, pasture, woodland and a small vineyard for own use. 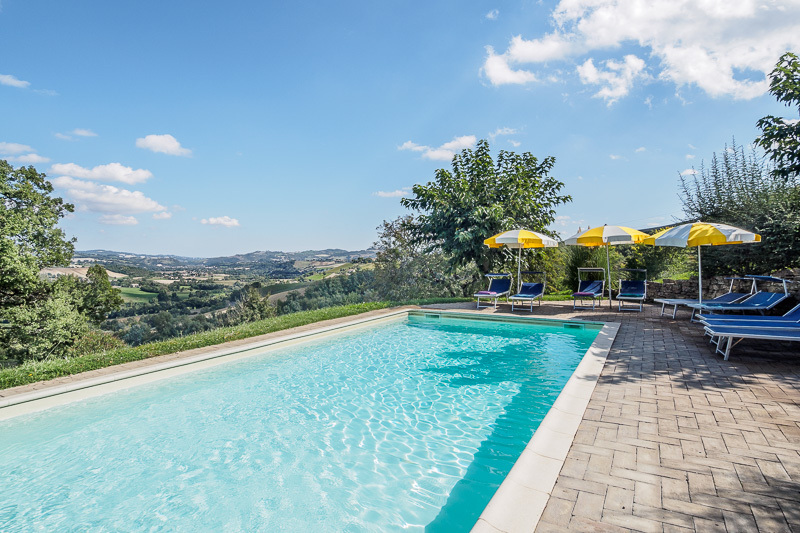 The gardens are uncomplicated and there is a pool with sweeping views across the valley. 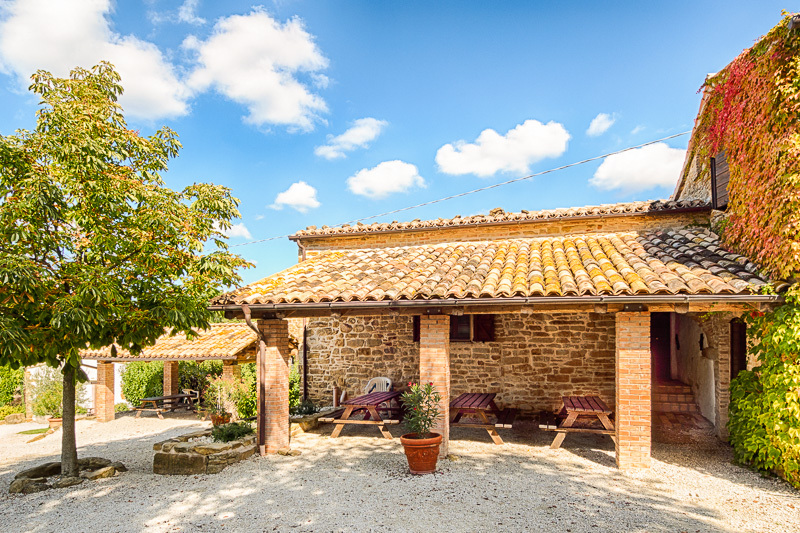 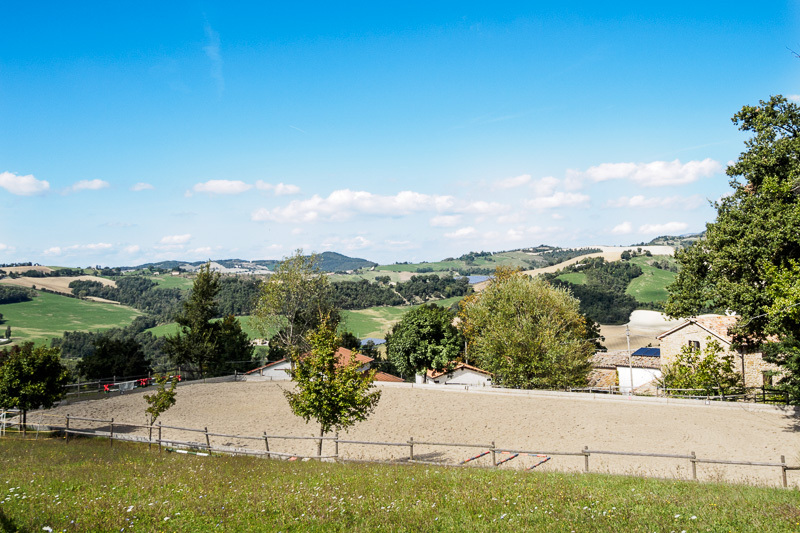 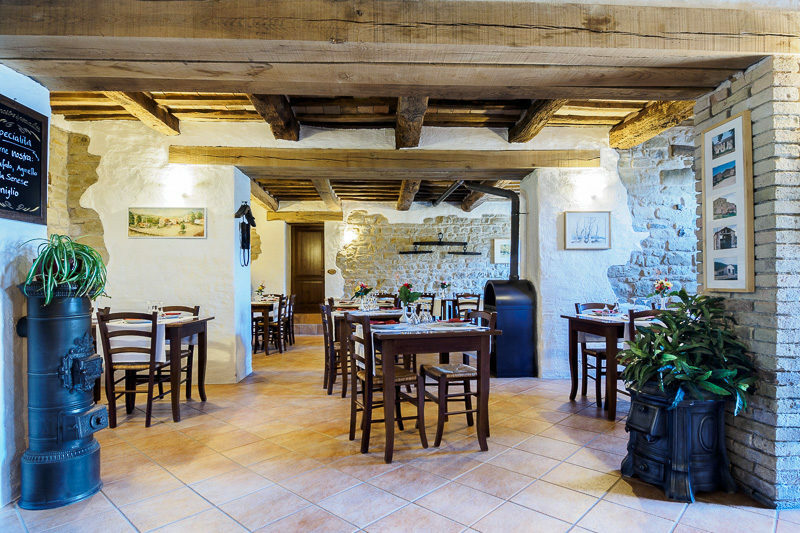 Unlike many agriturismi, this property is able to provide the vast majority of the produce for the restaurant on site and has enough accommodation to make it a serious business with established earnings. 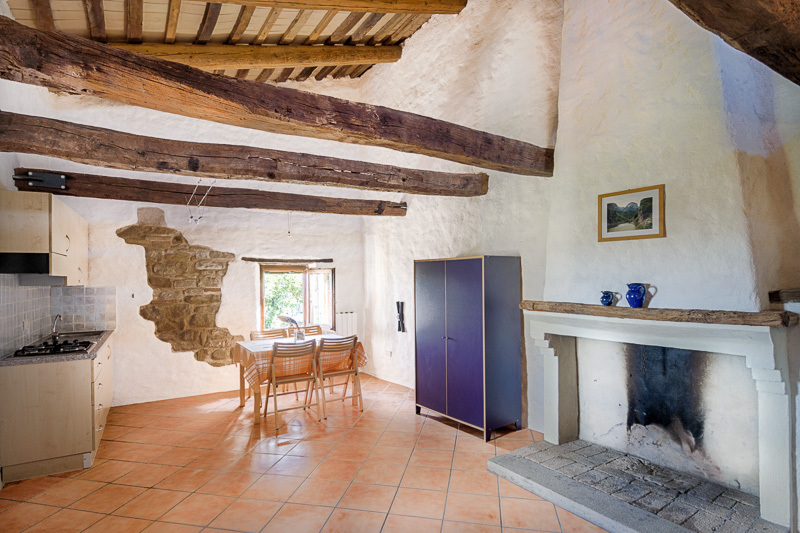 The fixtures and fittings are in a rustic Marche style with many original features and are in perfect working order. 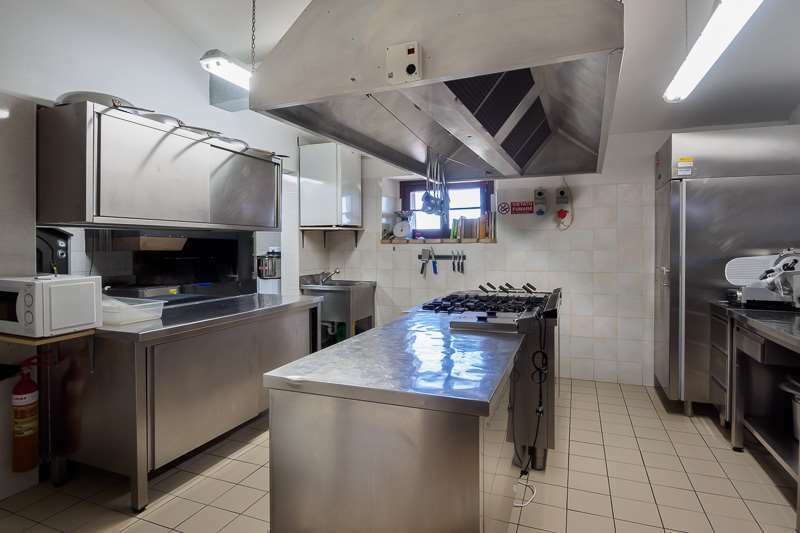 All services are connected and are in perfect working order. 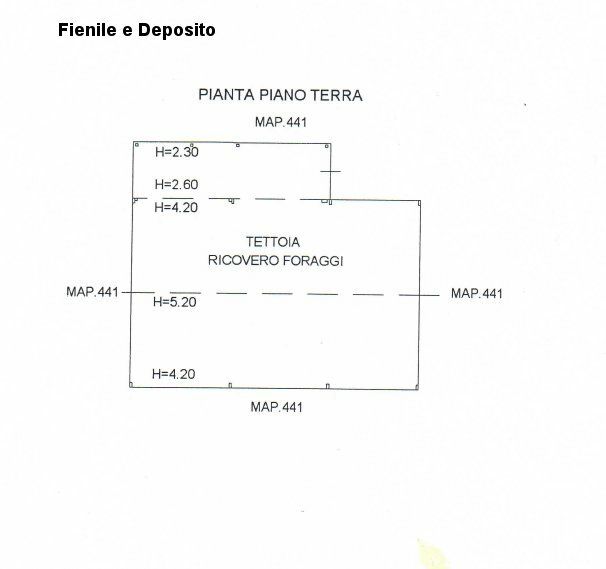 The gas supply is private but the boiler runs on wood and pellets and there is a photovoltaic plant that provides an income of about €7000/annum. 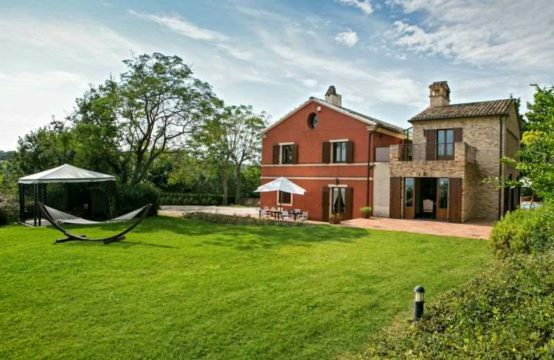 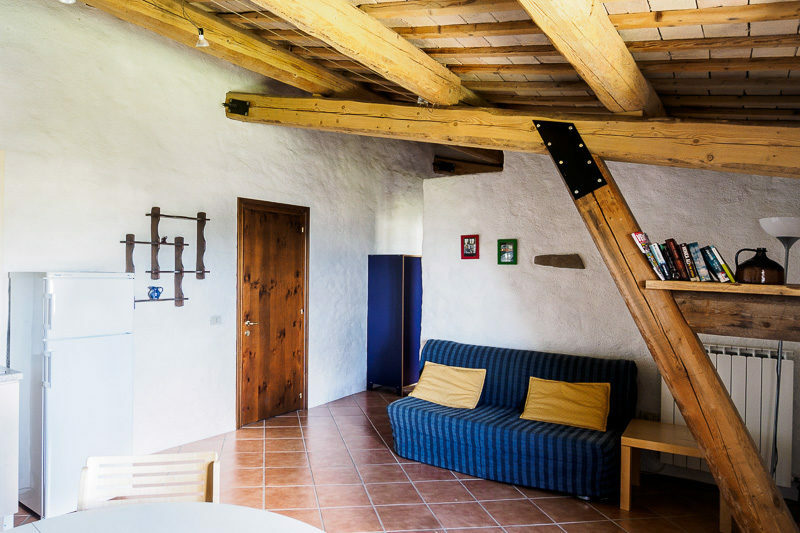 The converted farmhouse is in the province of Pesaro Urbino and the mountains and the seaside are equidistant. 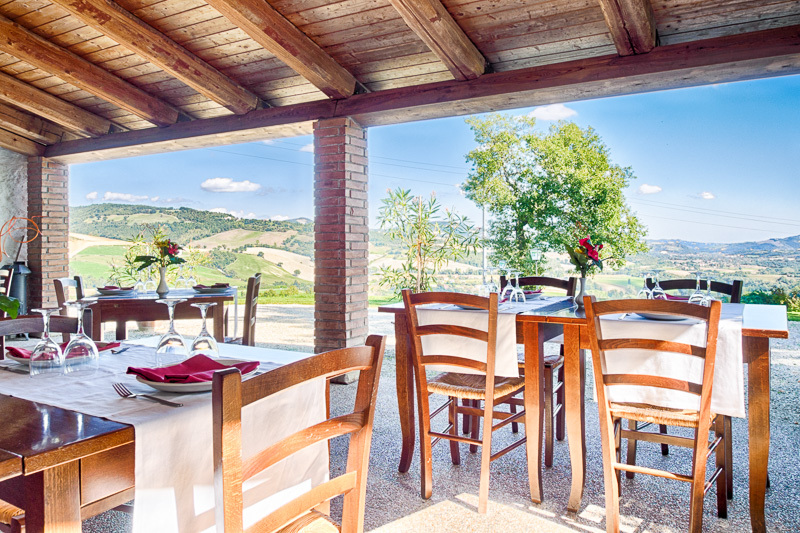 The closest town, Pergola, is about 10 minutes by car and access is via a white road, owned and maintained by the local Municipality, in excellent condition. 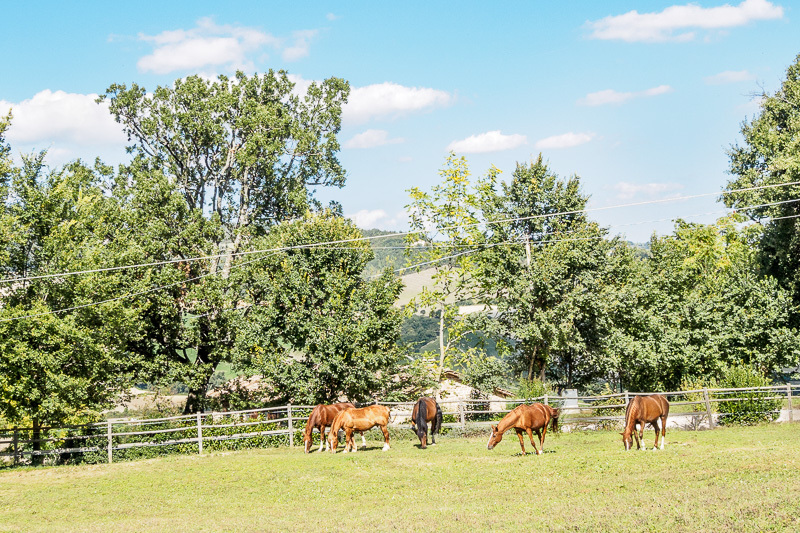 There are many tourist attractions within easy striking distance and there is no lack of surrounding natural beauty for walking, riding, biking and so on. 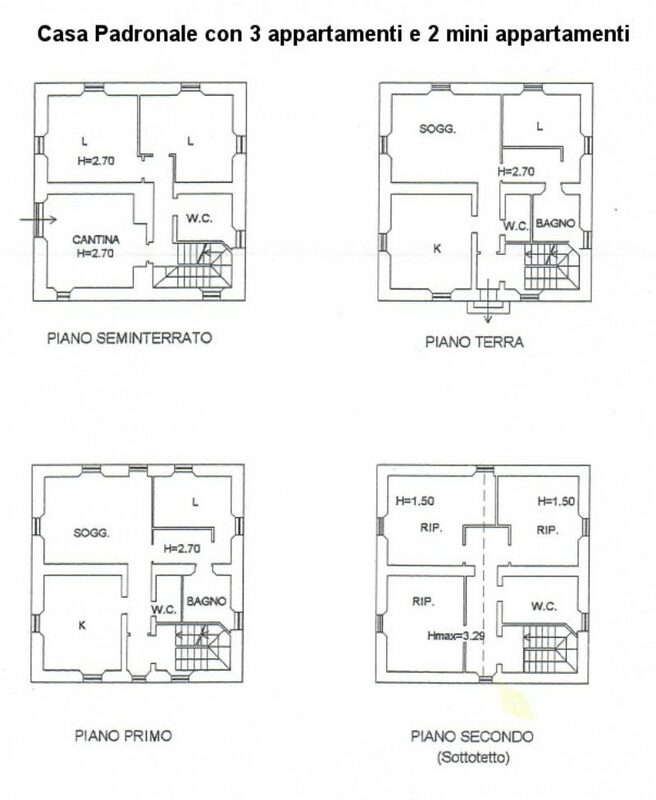 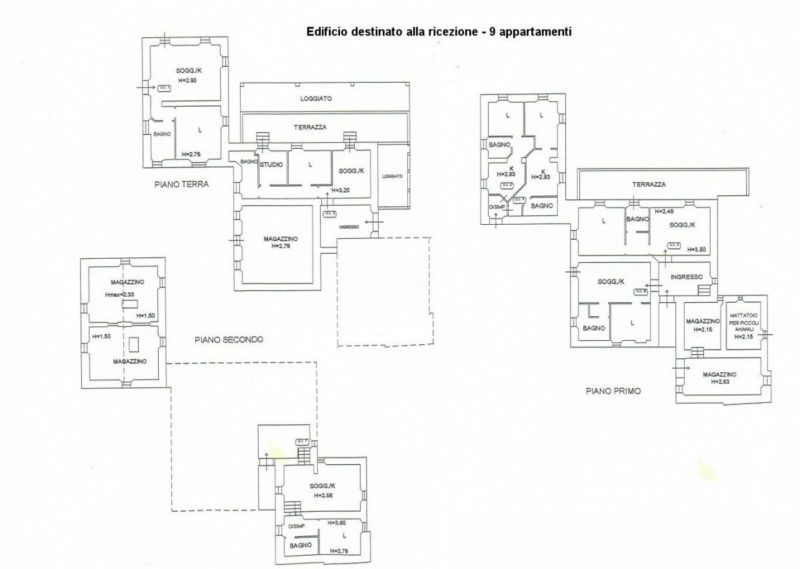 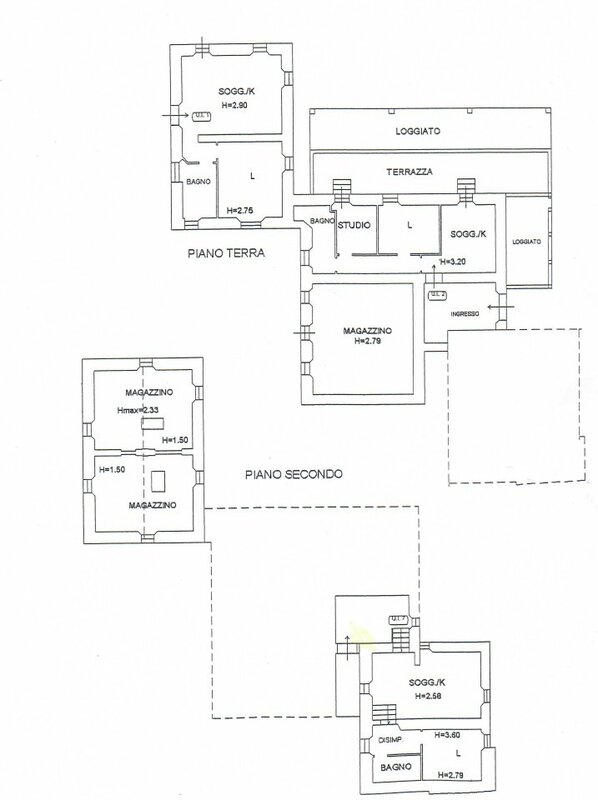 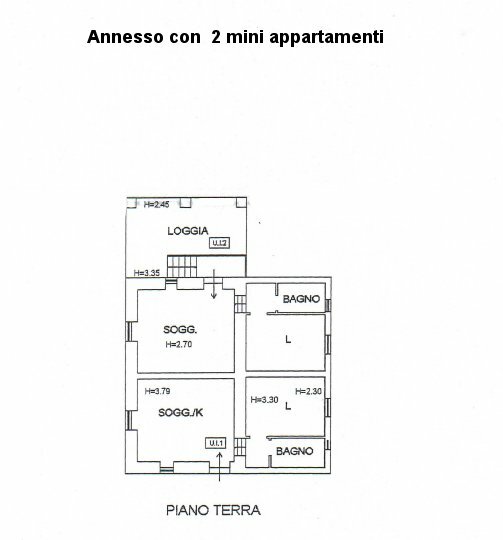 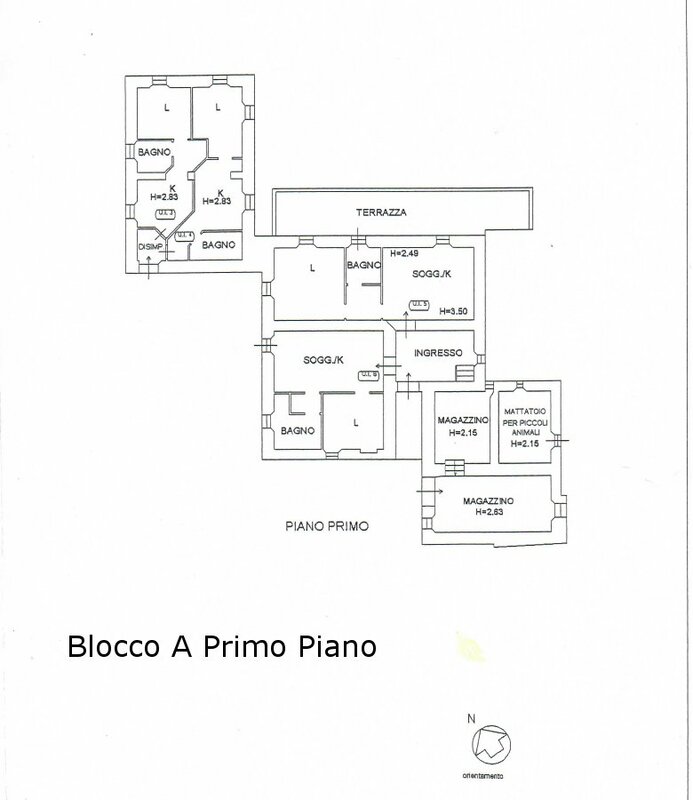 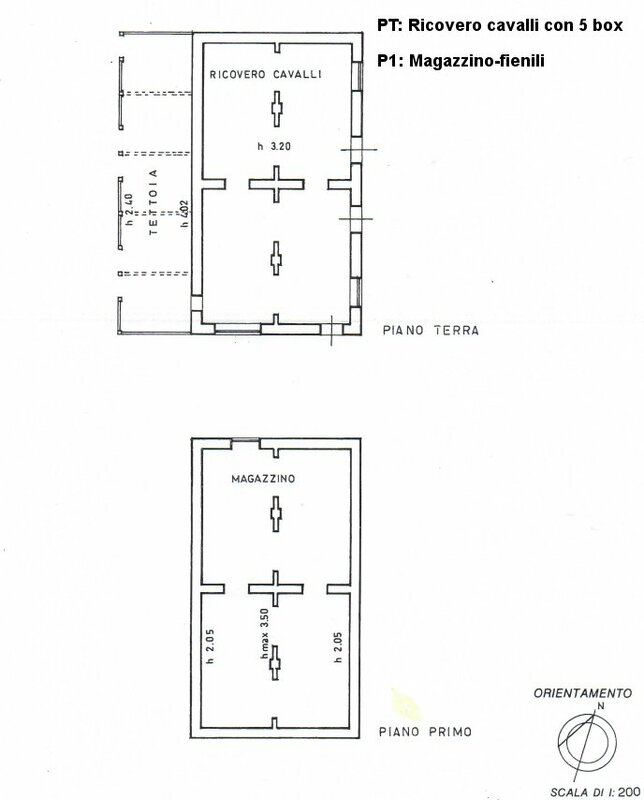 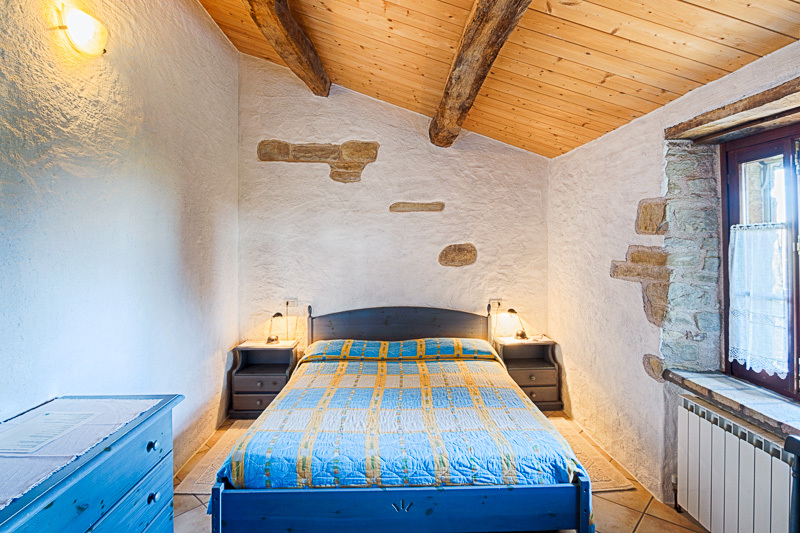 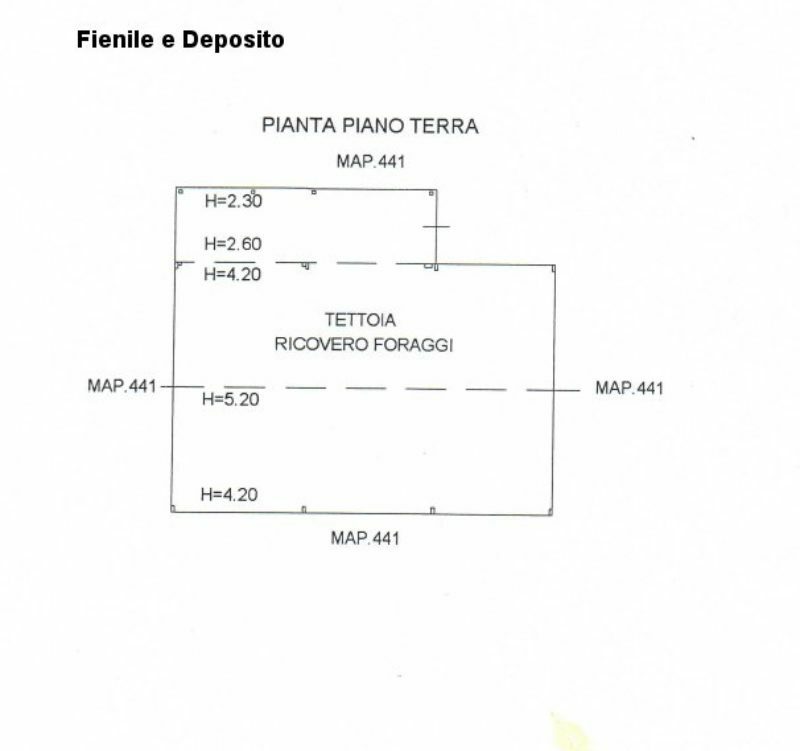 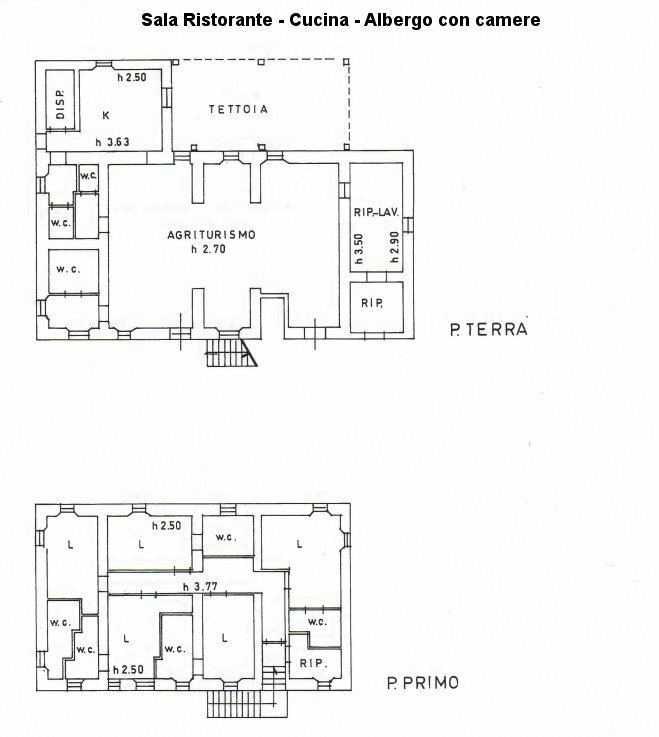 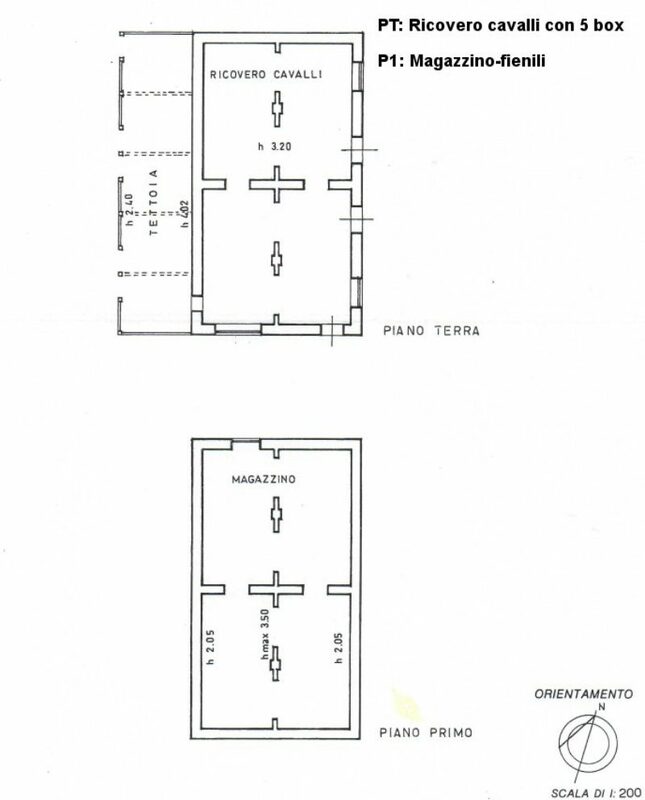 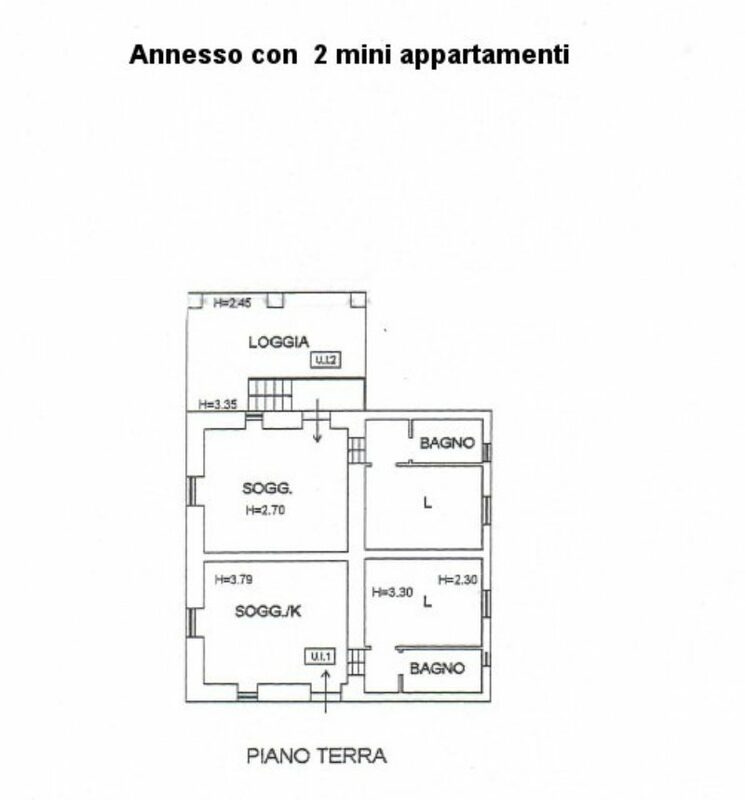 This property will make a very nice country hotel or agriturismo.